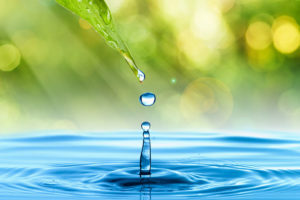 South African companies through their responses to the CDP Water programme identify water as a more immediate and a more severe risk that climate change. 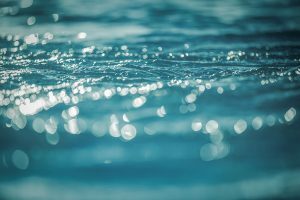 It should be recognised that issues relating to water quality and supply (both directly and indirectly through supply chains), while exacerbated by climate change, are a risk in their own right. Water challenges (including related to the skills required to manage them) therefore exist for businesses at a strategic and operational level. There are two specific strategic issues that need urgent attention in South Africa. Firstly given the significant pressure water transfer and treatment infrastructure is under, and given that government has only budgeted half the amount needed to maintain and upgrade this infrastructure the role of the private sector in water management and how water will be priced in future requires serious consideration. It is likely that the private sector will need to become more and more involved, as individual companies and as a collective, to ensure the adequate supply of appropriate quality water to their production processes and value chains. This potential challenge is exacerbated by the connection between water and human rights. As water becomes more scarce communities will have a constitutional right to access this water before business applications. Furthermore these communities are already under significant inflationary pressure and will be subject to further pressure brought about by increases in water prices and consequently food prices. There will therefore be a direct relationship between labour productivity and unrest and the ability for consumers to engage in the market (particularly at low LSMs) and the management of water in South Africa. 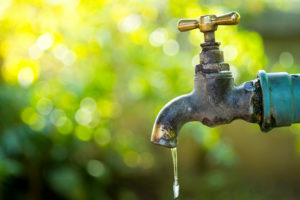 While there are companies in South Africa who can claim to be global leaders in managing water related risk and opportunity the average South African company is not reacting to the risk as would be expected. There is much confusion around how to manage water and companies are reluctant to engage. 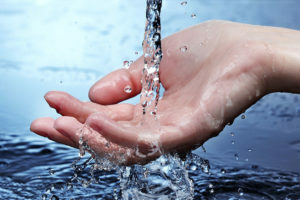 Managing and measuring water risk and opportunity is an immature sector in South Africa. Few companies are acting in a manner appropriate with the level of risk (as illustrated in the Water Disclosure Project). Water is more complex than climate change in that its value is relative to local conditions and management is therefore focussed at a catchment level. Furthermore the measurement of value is inconsistent, with water foot-printing tools and techniques often misused. Consequently the suite of projects the NBI implements need to address water as a strategic risk, how to measure and appropriately manage and communicate the magnitude or risk as well as understand the complexities of working at a localised, catchment level. Remove some of the barriers to managing water by repositioning the complexity of water management such that companies understand that there is a lot of value to be garnered by starting small and using high level techniques.